Coming from Speck is the CandyShell Grip for the iPhone 4/4S. CandyShell Grip has been nominated for the Best iPhone 4S Case Finalists of 2012 Readers' Choice Awards on About.com. This griptastic case offer design similar to Speck's CandyShell Grip for iPod Touch which is made specifically for gaming. 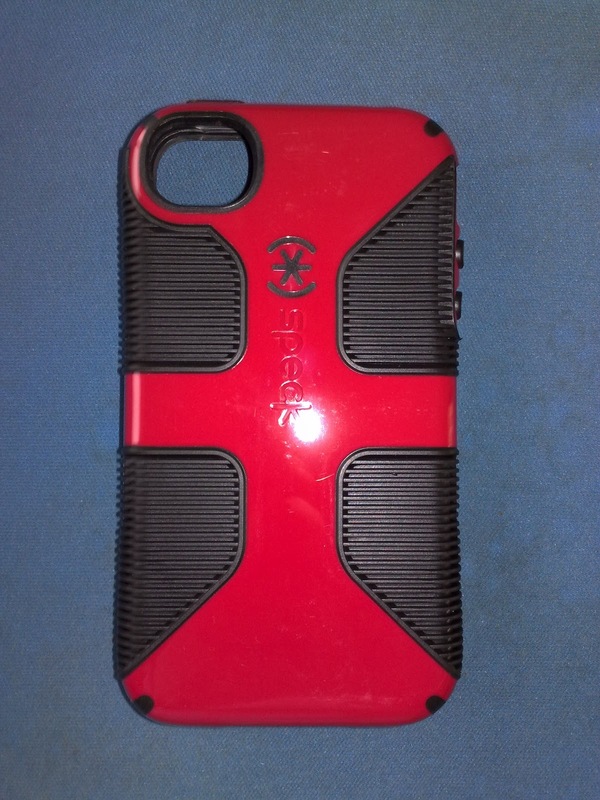 This case features specialized grippy finger pads on the back of the case and offers shock absorbent rubber inner lining design to protect your iPhone 4 or 4S. Unlike older model Speck case, the rubber on Speck CandyShell Grip does not flakes after months of usage. The Speck CandyShell Grip fits really well on Apple iPhone 4 and 4S and the rubberized buttons are responsive. You can feel safe put on this case with your iPhone and a drop to floor from pocket-height shouldn't leave a scratch on your phone. Speck's new design of the cutout for camera is big so it is easy to clear the dirt or dust on camera lens and no camera flash washout while taking pictures. This is one of my favourite iPhone 4S case. I can't really find any major downside of it. Definitely a fantastic iPhone case to get.